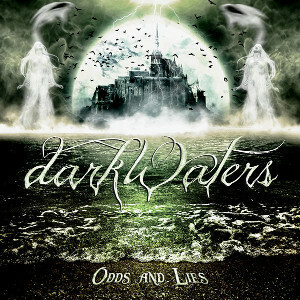 DARKWATERS is a Metal Band which is based in São Pedro do Sul (Portugal) founded in 2012 by the union of five musicians. The band debuted with their debut album “Golden Age of Decadence” (2013), the band got earned large number of fans with playing in various shows. In October 14th 2015, the band released worldwide the second album titled “Odds And Lies” through Premiere Music. New album consists of 11 majestic metal songs, and the music videos for two singles, “Confession” and “Strongest of Them All”, off the album have been released. The album was produced by the band, mixed by world renowned producer Daniel Bergstrand (In Flames, Behemoth, Meshuggah) at Dugout Studio in Uppsala, Sweden. The artwork was created by Brazilian digital artist Caio Caldes.